The Sabbathday Lake Shaker Museum, 707 Shaker Road, opens on Friday, May 26, and the Shaker Store opens Saturday, May 27. The museum is located within the only active Shaker Community in the world, where Shakers continue to live, work and worship. Shaker Village will be open daily, 10 a.m.-4:30 p.m., through Oct. 9. (Note that Sundays are for worship services only, with Meeting at 10 a.m. sharp at the 1794 Meeting House. One-hour guided tours of the museum and grounds provide valuable insights into the Maine Shaker heritage and culture from the 1740s into the present day. Workshops, concerts, tours and special events are listed at www.maineshakers.com. In early 2016, the Gray-New Gloucester Development Corporation launched an economic development program, the Grow GNG Challenge. The first place winner of the 2016 competition, Empower Chiropractic and Acupuncture, was awarded a total prize in excess of $17,000 including a $10,000 forgivable loan and in-kind professional services. On Wednesday, May 31, 8 a.m., the GNG Development Corporation will be host first ribbon cutting for Empower Chiropractic and Acupuncture, 49 Pineland Drive, New Gloucester Hall on the Pineland Campus. A ceremonial check for $10,000 will be presented to that business. The second ribbon cutting is scheduled for 8:45 a.m. that day at the business competition’s second-place winner, LocalCentric, 4B Brown St., Gray. This retail shop, owned and operated by Tom and Jen Etsy of New Gloucester, focuses on Maine and New England made products. The 10th annual ‘Rooting for Democracy’ plant sale, hosted by the New Gloucester Democratic Committee, will be held on Saturday, June 3, from 9 a.m.-noon, at Lil’ Mart, 1026 Lewiston Road, Route 100. Plants of all varieties including perennials, annuals, house plants, vegetables and herbs will be offered at bargain prices. Arrive early for the best selection. The rain date is Saturday, June 10. 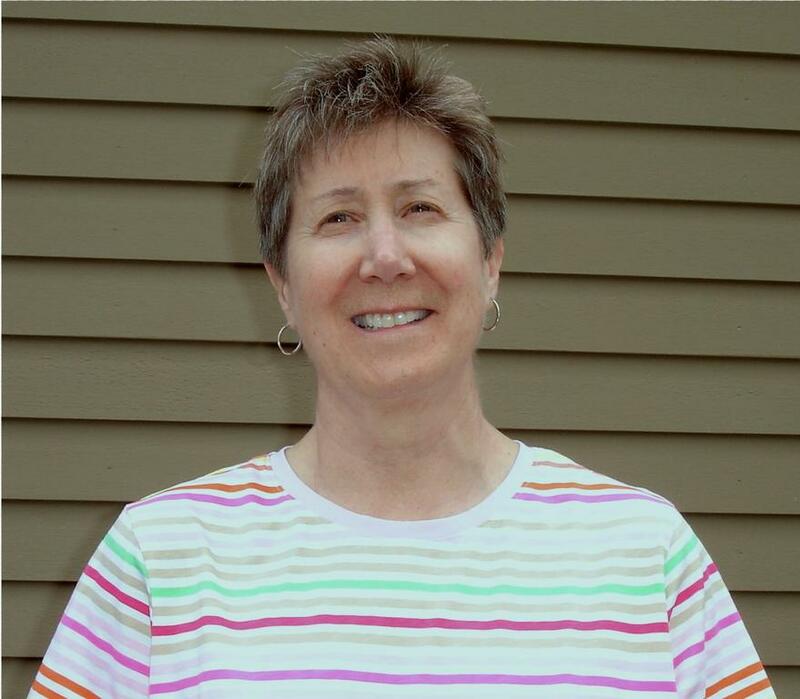 Lynn Deeves is a Maine singer-songwriter and multi-instrumentalist who honed her stage skills on the high energy rock circuit. She will be sharing the stage with electric and acoustic guitarist Robby Coffins whose rich vocals blend beautifully with hers at the New Gloucester Village Coffeehouse on Saturday, June 3. The show will be the last coffeehouse of the season. The duo is scheduled to take the stage at the Vestry Community Room of the First Congregational Church, 19 Gloucester Hill Road. Admission at the door is $10. Call 653-4823 for more information. Students from Gray-New Gloucester High School collaborated with the Cumberland County Sheriff’s Office and Casco Bay CAN to visit local businesses and promote Project Sticker Shock, a national and statewide program. The students volunteered to be a part of the project and bring awareness to the ramifications of purchasing alcohol for underage individuals. They placed awareness stickers that include Maine laws about providing or purchasing alcohol for a minor on alcohol packaging. Volunteers wore T-shirts promoting their efforts, and they presented participating businesses with a “thank you” award for helping promote keeping teens safe and healthy. Project Sticker Shock is held in the spring and winter. For more information, visit www.cascobaycan.org. 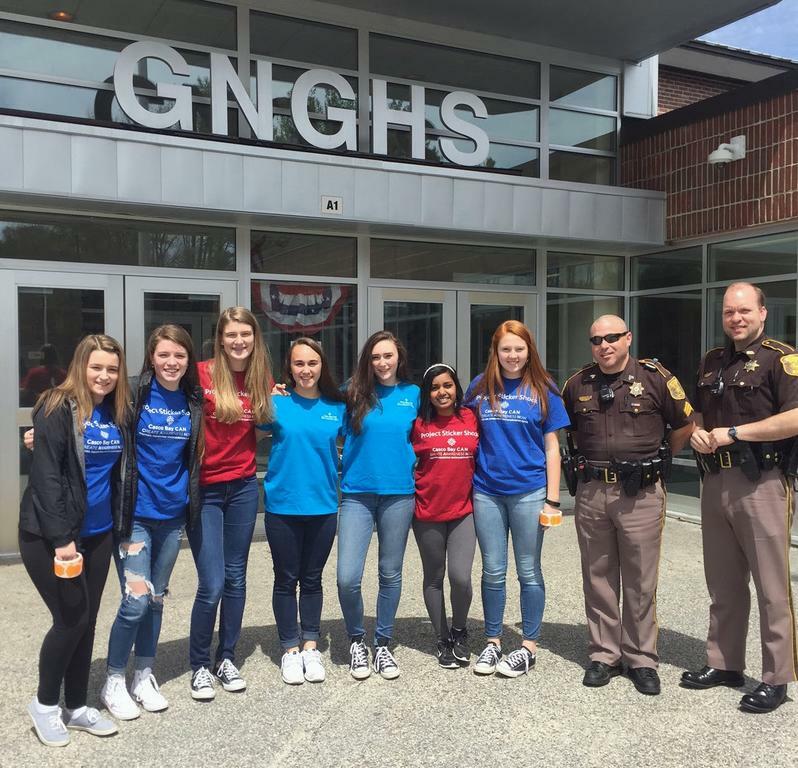 From left, Gray-New Gloucester High School students Ella Richard, Abbey Michaud, Samantha Fortin, Mady West, Olivia Bourne, Myah Cote and Eliza Hotham collaborate with Deputy Marion and Deputy Ferriter of the Cumberland County Sheriffs office on Project Sticker Shock, bringing awareness to the ramifications of purchasing alcohol for minors.